New product. 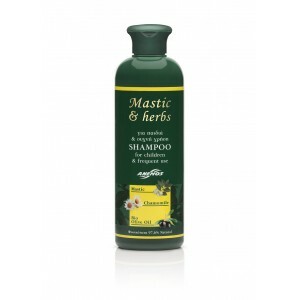 Fine shampoo with mastic, chamomile and bio Olive oil. Shampoo specially formulated for children, or for frequent use. Mastic oil, along with the rest of the active ingredients of this fine shampoo help to protect, moisturize and strengthen your hair. Cleans your hair and scalp drastically but very gently. The hair becomes soft, strong, silky and healthy. 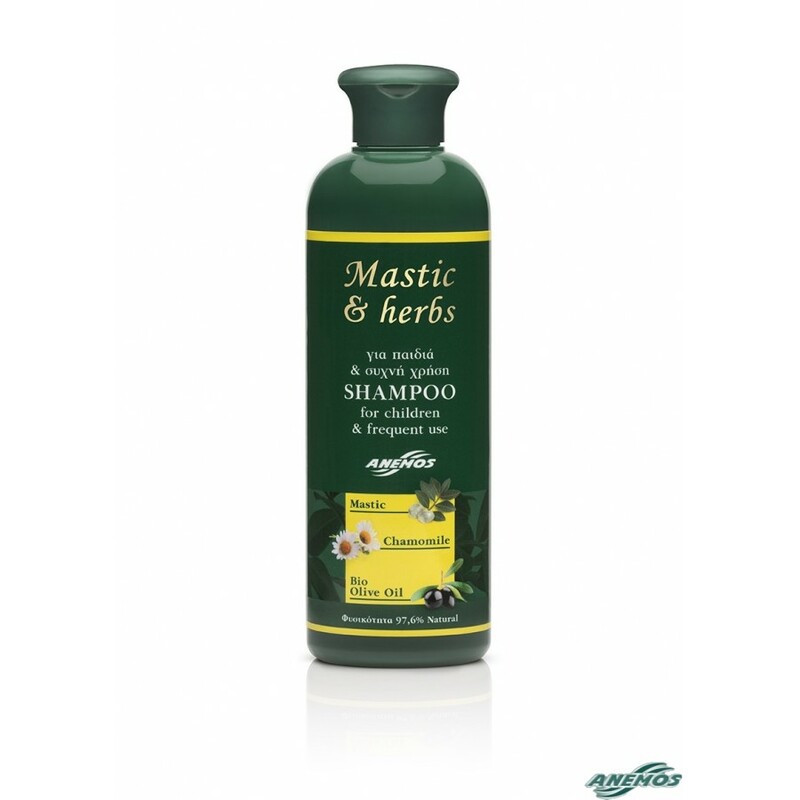 Natural shampoo with a specially mild formulation for (very) frequent use, or for children, with organically grown olive oil. Shampoo with ingredients which are 97.6% of natural origin! Make a light massage with your finger tips. Allow one minute for the active ingredients of our shampoo to take effect. Rinse very well. Repeat. Ingredients: Aqua (Water), Sodium Lauroyl Sarcosinate, Cocamidopropyl Betaine, Caprylyl/Capryl Glucoside, Sodium Coco-Sulfate, Sodium Cocoamphoacetate, Glycerin, Hydrolyzed Wheat Protein, Panthenol, Lauryl Glucoside, Chamomilla Recutita (Matricaria) Flower Extract, Calendula Officinalis Flower Extract, Olea Europaea (Olive*) Fruit Oil, Pistacia Lentiscus (Mastic) Gum Oil, Citric Acid, Glyceryl Oleate, Coco-Glucoside, PEG-12 Dimethicone, Parfum (Fragrance)**, Disodium Cocoyl Glutamate, Sodium Lauryl GlucoseCarboxylate, Potassium Sorbate, Guar Hydroxypropyltrimonium Chloride, Tetrasodium Glutamate Diacetate, Sodium Benzoate, Benzoic Acid.